World’s First Abstract Artist Inspired by Unseen “High Masters” – Zero Equals Two! Some of y’all are aware that Wassily Kandinksy, popularly considered the first Abstract painter was influenced by the esoteric theories of color and shape propounded by the leaders of the Theosophical Society. 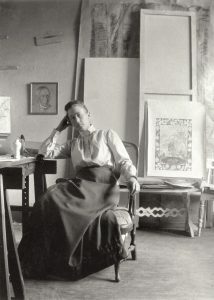 Few (INCLUDING ME) are likely aware that Swedish painter Hilma af Klint was creating work under the influence of unseen High Masters decades prior that stands as the first modern Abstract art (certainly one could count the earliest art created by Homo Sapiens and Neanderthals as fairly abstract but that’s perhaps part of the road TO figurative representation and not a conscious abandoning of same). “Af Klint, who was small in height, with blue eyes, usually wore black and was vegetarian, was profoundly changed following an otherworldly experience in 1904. During a séance, she heard a voice telling her to make paintings ‘on an astral plane’ in order to ‘proclaim a new philosophy of life’. This was essentially a celestial commission, “from an entity named Amaliel who told her to paint the ‘immortal aspects of man”. Henceforth, from 1906 at age 44, af Klint embarked on her most prolific phase of abstract painting. Culminating in 1915, she had produced 193 works, each of which belonged to one of six series all over-arched by the larger body called Paintings for the Temple. She refers to this intensely creative period and process as being guided by a ‘force’, driven by a ‘higher power’ in a sort of ‘divine dictation’. “The São Paulo Pinacoteca, a museum of the São Paulo State Secretariat of Culture, opens on March 03 ‘Hilma af Klint: Possible Worlds’, its first exhibition of the 2018 calendar and one of the great highlights of the year. With the sponsorship of Banco Bradesco and Ultra, an individual exhibition by the Swedish painter Hilma af Klint (1862-1944), whose work has been recognized as a pioneer in the field of abstract art, has been unveiled for the first time in Latin America. century. “af Klint attended the Royal Academy of Fine Arts, the main center of artistic education in the Swedish capital, but soon distanced himself from his academic training to paint invisible worlds, influenced by spiritual movements such as the Rose-cross, Theosophy, and later Anthroposophy. She was part of ‘The Five’, an artistic group composed of female artists who believed to be led by high spirits who wanted to communicate through images and had already experimented since the late 19th century with writing and automatic drawing, anticipating surrealistic strategies in more than 30 years. 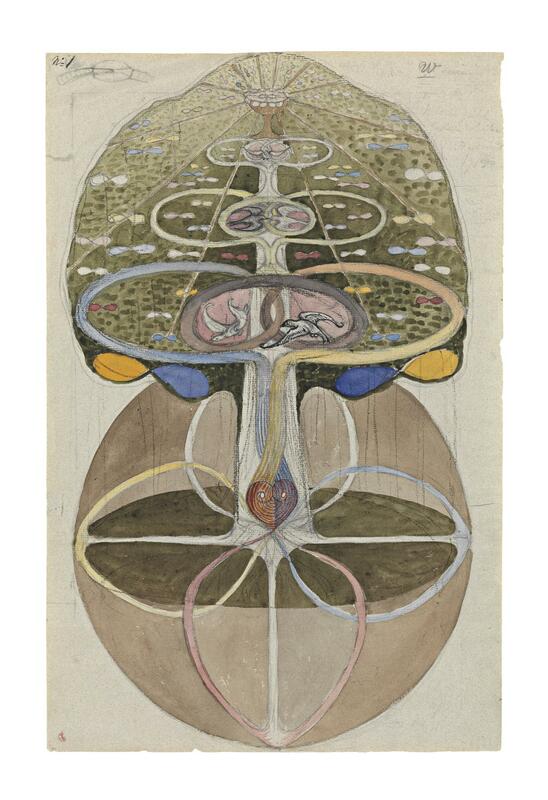 “Hilma af Klint: Possible Worlds” remains on display until July 16, 2018, on the first floor of Pina Luz – Praça da Luz, 02. The visitation is open from Wednesday to Monday from 10:00 a.m. to 5:30 p.m. at 18:00 – tickets cost R $ 6 (whole) and R $ 3 (half). Children under 10 years and adults over 60 do not pay. On Saturdays, entrance is free for all visitors. Pina Luz is close to CPTM Light Station.